Nagrota, March 29: National Conference Provincial President, Devender Singh Rana on Thursday underscored the need for putting up a brave and united front against forces inimical to inclusive characteristic of Jammu and Kashmir, saying politics of hate has no place in the State. Addressing party functionaries of Block level of Nagrota Assembly Constituency this evening, Rana recalled the frontal role played by National Conference in preserving the secular ethos of the state, even during most testing times and said ethos is to be sustained and promoted at all costs. “National Conference is standing like a rock against the communal and disruptive forces, who have unleashed a vicious campaign to divide the people”, Mr Rana said, adding that this has caused immense damage to the secular fabric and there is need for course correction. He lauded the resilience of the people in keeping such elements at bay and hoped that they will continue to foil their machinations in future as well. He also appreciated the unbreakable spirit of the people of Jammu in maintaining peace, much to the discomfort of peace-breakers who are hell bent to flare up disharmony between various segments of the composite society. Rana expressed concern over emergence of reactionary forces and said this harms the spirit of togetherness and tranquility. He said the state will progress only when the society at large maintains its time-tested heritage and isolates those creating wedge for petty political ends. He said political myopism can have dangerous ramifications and emphasised the need for strengthening secular forces. He also cautioned against the forces trying to divide people in the name of religion and said National Conference will not allow their agenda to succeed in Jammu and Kashmir, which is a shinning symbol of harmony and tranquility. 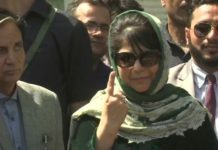 “We want a politically stable, peaceful and prosperous Jammu and Kashmir”, the Provincial President said and pledged to fight the polarizing elements with full might. He said unity among people and single entity of the regions is essential for harmonious growth of the state, adding that divisive politics can endanger the social fabric, cause disenchantment and vitiate communal harmony. “Let’s close our ranks in combating peace inimical elements by further strengthening bonds of amity and brotherhood”, Mr Rana and urged the workers to fan out in their respective areas with policies and programmes of National Conference, the corner stone of which is Hindu, Muslim, Sikh Etehad. 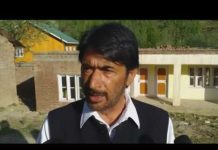 For upholding this ethos, he said the party leadership has taken a conscious decision of voting and supporting the Congress candidates from Jammu-Poonch and Udhampur-Doda Parliamentary constituencies. 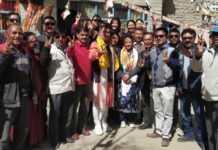 He exhorted the people to ensure the victory of Raman Bhalla and Vikramaditya from these constituencies respectively with huge margin.